As we reported over the weekend, JCPenney is now selling select home good items featuring products from The Last Jedi in stores and they are now selling them online as well. Thanks to @katesmking on Twitter for the alert. 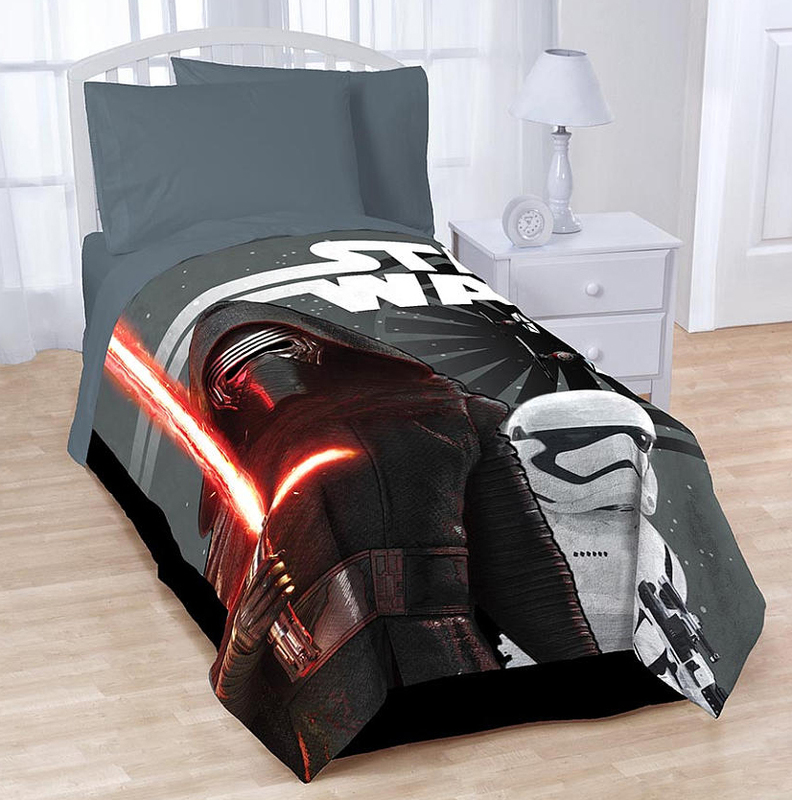 ToysRUs has a listing for a new blanket featuring Kylo Ren, stormtrooper and TIE Fighters from The Force Awakens. It is available for preorder now and (like most other Episode VII merchandise) it will be available on September 4. Thanks to David P. for the heads up.